In a world where everyone is trying to become a CEO, one woman is simply working to empower women entrepreneurs all over the world. 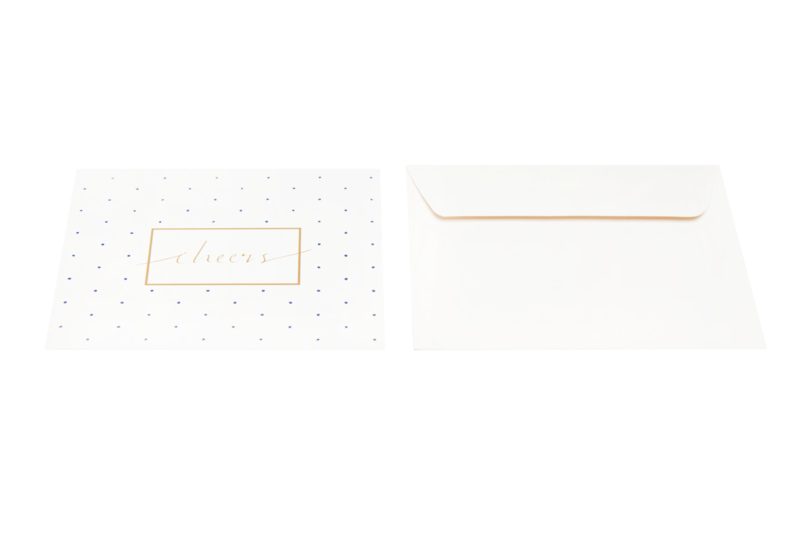 Meet Jillian Ryan, the founder of Marie Mae Company that sells ethically-sourced paper goods from notebooks to stationary (their gorgeous Thank You Card Set is featured in the FabFitFun Winter Box). 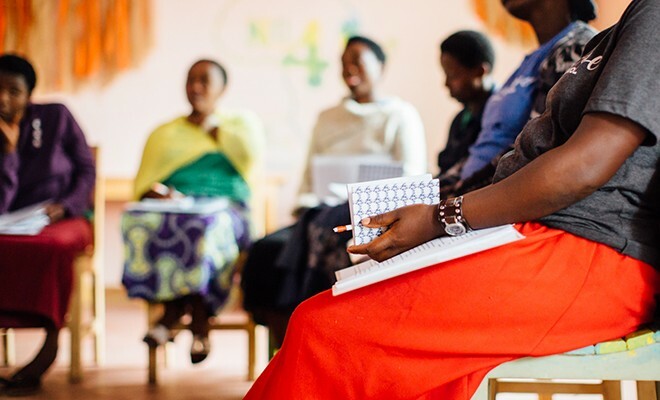 Every purchase of a Marie Mae product provides priceless learning experiences at their Marie Mae Business School, which is dedicated to teaching women in emerging markets on how to create and run their own businesses. We had a chance to sit down with the previous Fortune100 company advisor to learn more about the Marie Mae Business School and how we, as consumers, can be more socially aware of the products we purchase. What inspired you to create ethically-made office products as opposed to other products (i.e. beauty, fashion)? Marie Mae Company was founded in 2014 with a lofty objective: to offer beautiful office products people can utilize in everyday business and change the world while doing so. To me, there is such a nice symmetry between the modern day professional that utilizes our products in everyday business and the students it provides business skills training for. And quite honestly, there was a gap in the marketplace, and I am a paper nerd and always have been. Was there a specific moment that motivated you to start the Marie Mae Business School? Up until I launched Marie Mae, I spent my career in DC advising Fortune100 companies on how to do business in emerging markets, specifically sub-Saharan Africa. It was fascinating work that I enjoyed, but I wanted to do more at the local level in the areas we were working in to help invigorate the private sector. Marie Mae started as a side project to fund one business boot camp, and quickly became so much more. 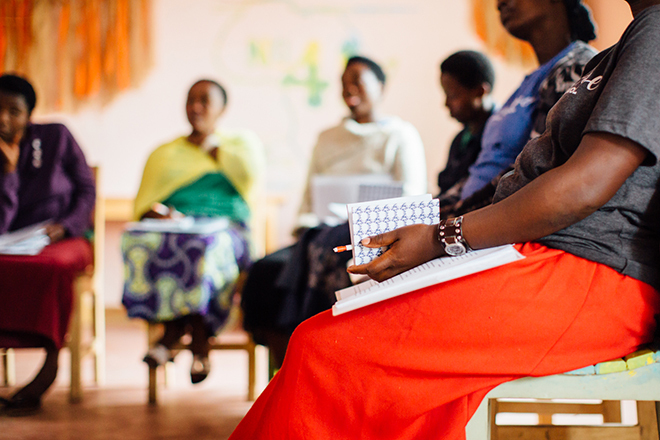 As soon as I stepped into that room of women in Rwanda, I found the missing piece of the puzzle that infused my career with the purpose and impact that we all crave. What is the one learning lesson you hope women get out of the Marie Mae Business School? The one thing I hope everyone takes away from the MM Business School is the self confidence that they can do it. We spend a lot of time focused on the practical matters of building and running a business as well — including topics such as public speaking, how to find your market, and business planning — but empowering our students with the belief they can be successful is the basis for everything we do. What advice would you give to the women who are hesitant about starting their own business? Do it. I know it sounds cliche, but you will never know until you try. And while starting and running a business is the hardest thing I’ve ever done (and often makes me question my own sanity), I wouldn’t change a thing. It’s this process that shapes you into the leader and professional you are today, and it’s the process — as grueling as it is — that helps you build a fantastic business that can make an impact on the world. How can we, as consumers, be more socially-conscious (i.e. in the way we live, products we purchase, etc.)? The number one thing that has helped me to become a more socially-conscious consumer is to really think about how the products that I buy are made. Where are they made? Who made them? Somehow I grew up thinking that machines make 99% of our products, and that just isn’t true. We can — and do — make such an impact on the world with our purchases. Let’s make sure we are building the kind of world we would like to live in. Which Marie Mae product is a fan-favorite? Our “Write with Purpose” spirals are definitely the fan-favorites at the moment! My personal favorite is our berry spiral, which looks great with the FabFitFun “Thank You” Card Set. P.S. Psst! Have you signed up for the #FabFitFun box yet? Don’t miss out on $200+ in amazing beauty, fitness, fashion, and lifestyle products every season. Join today! 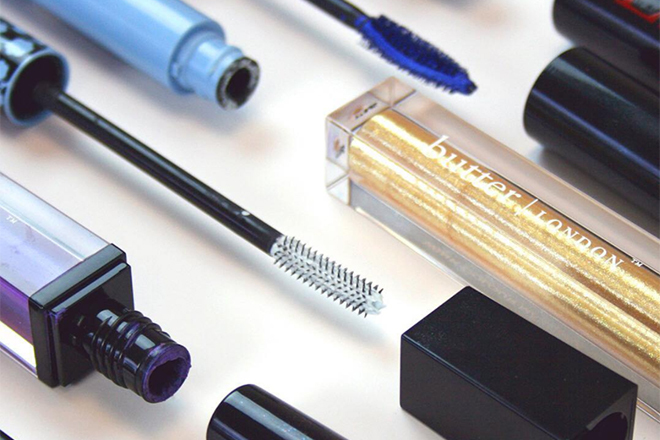 To get the most out of your box products, make sure to check out the Insider page.